I was looking for an inspirational quote to push me into getting something done today. Because I can’t seem to move. And I saw this and it made me laugh. I probably still won’t get anything done but at least this cheered me up. But I think part of my problem might be thinking I am supposed to do something worthwhile with this blog . . . you know something bigger than it is – and that’s just not working for me. is probably just going to have to be enough. 3. Thankful for coffee. But I need more! 6 A little laugh for you! Your blog is terrific. Chocolate morsels are very good. I am so sorry to hear of your loss – 54 years of marriage would seem like a part of you is missing. I can hardly imagine how hard this would be for you. You are doing great just to be! 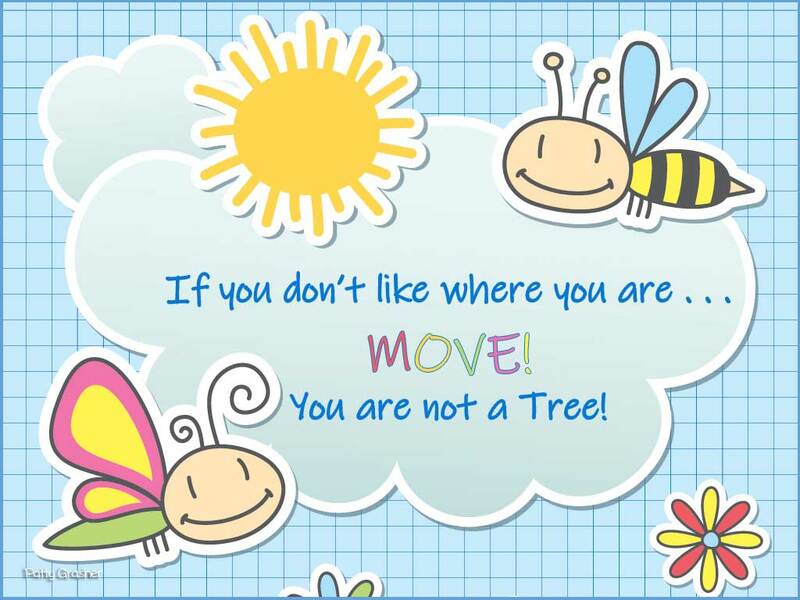 And anyway “moving” doesn’t have to be big things. It seems to me your life has totally moved you into a new direction – so just surviving that is certainly enough.